Interior DIYs Audio/Visual Equipment, interior trim upgrades, etc. I needed a 96-98 cup holder with a functioning latch for a project I was working on, but I couldn't find one on the cheap that worked. I felt that $50 from the dealership was too much, and even $10 plus shipping on Ebay could certainly be beat, so I took a trip to the salvage yard and got one for $5 that had a broken latch. 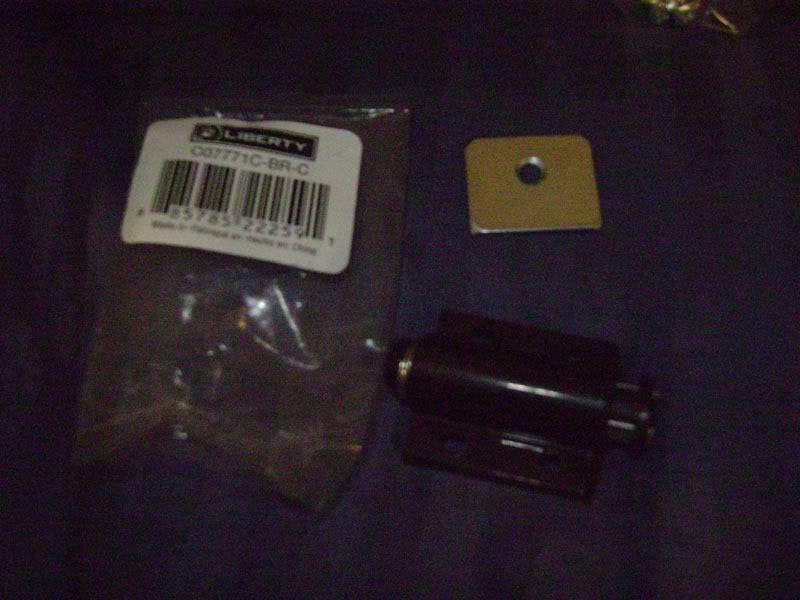 Then I took a trip to my local Home Depot and picked up a cabinet latch for $1.50. The brand I used was Liberty, part no. C07771C-BR-C. I felt that a magnetic latch was the best possible replacement option for this application. 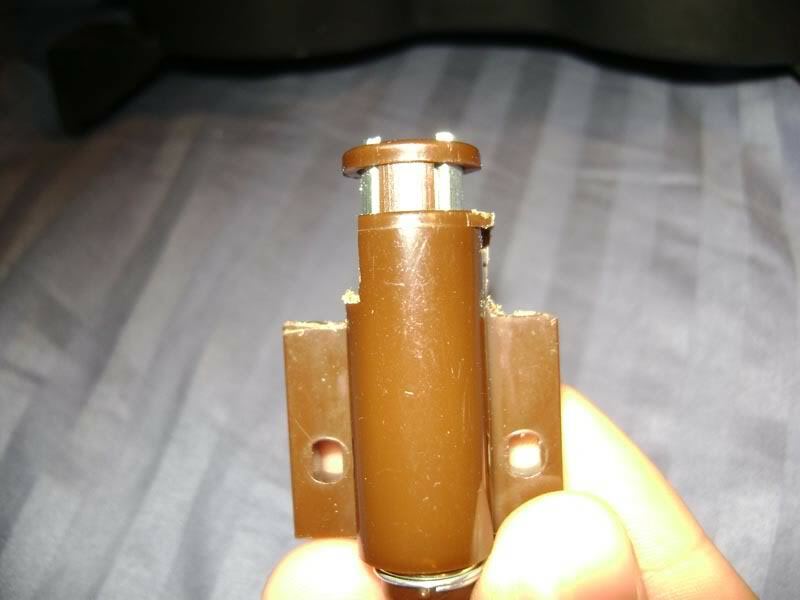 This DIY will show you how to replace your broken latch for as little as $1.50 and some time. Once complete, it will function almost 100% like stock and will not be too obvious. To start with, you need to remove the cup holder from the car if you haven't already. 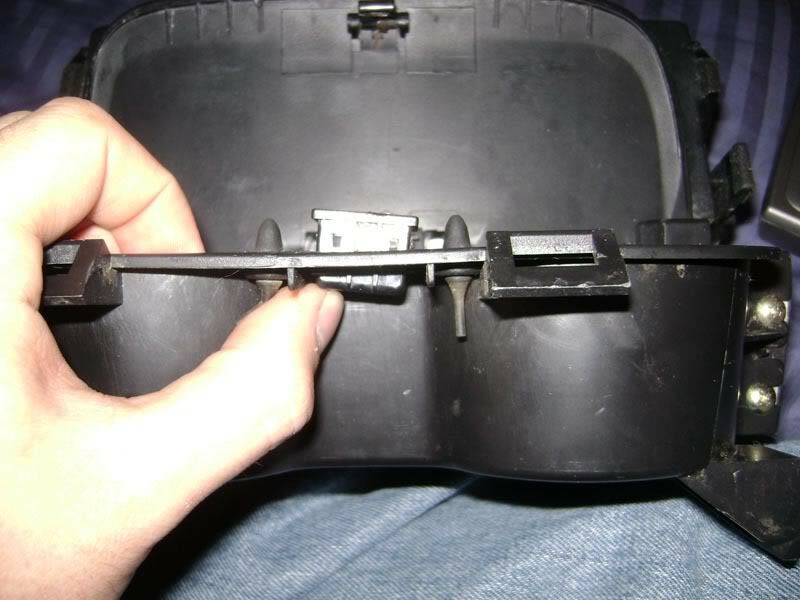 Pop the old latch receiver out of the bottom. All it takes is a little push from the bottom. 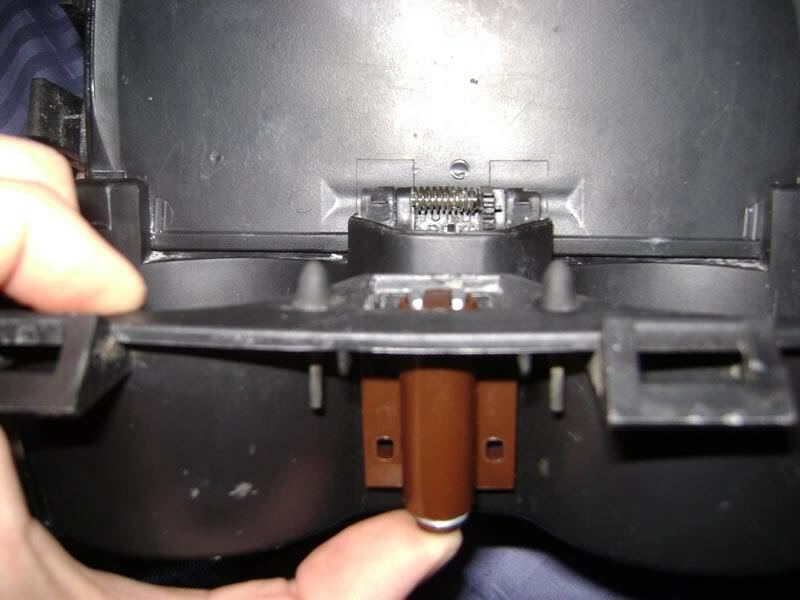 Before we move on to that, you will need to remove the spring from the latch on the underside of the lid. 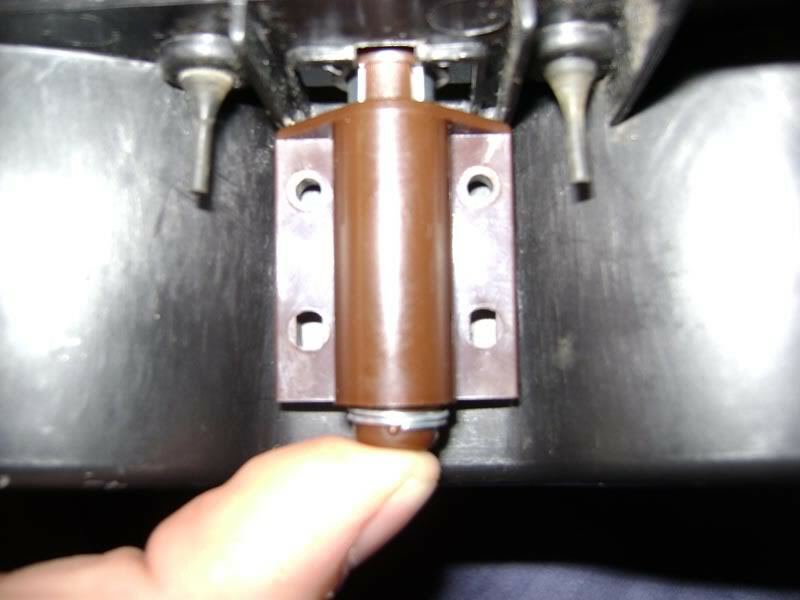 On the right side of the hinge, there is a groove that angles outward, so all you need to do is CAREFULLY grasp the part that hangs down and pull it to the LEFT so the plastic rod pulls out of the right side of the hinge. BE CAREFUL, though. The spring can EASILY pop out and hit your eye. Wear safety goggles! 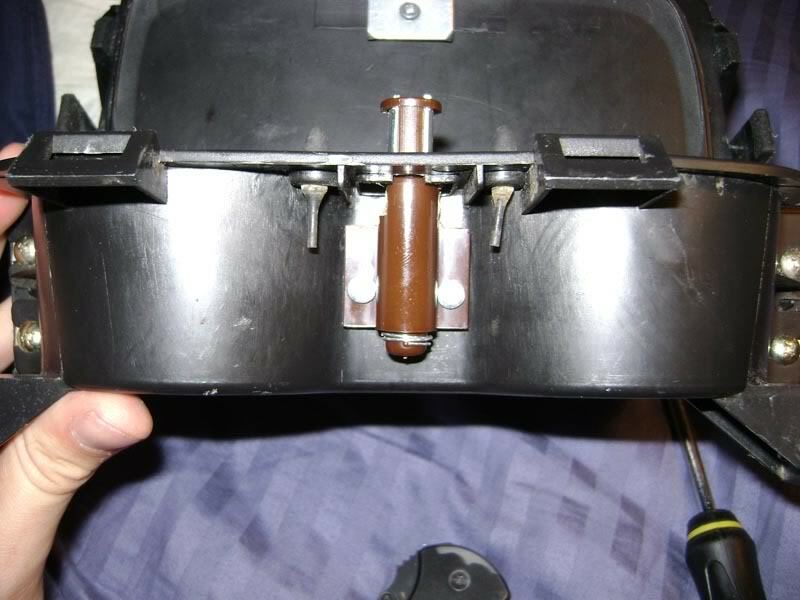 Once the spring is off, pop the latch back into place and lay it flat against the lid. 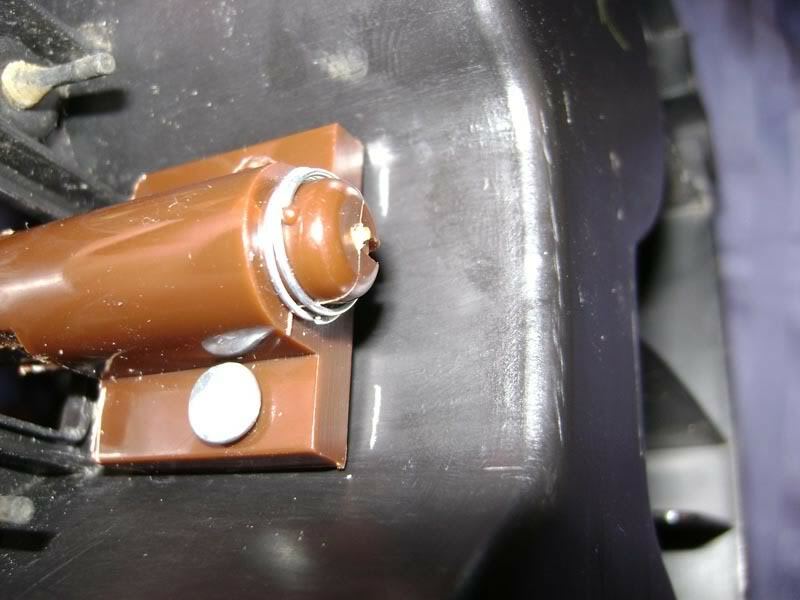 Using the short screw provided with the new latch, attach the metal plate to the underside of the lid. 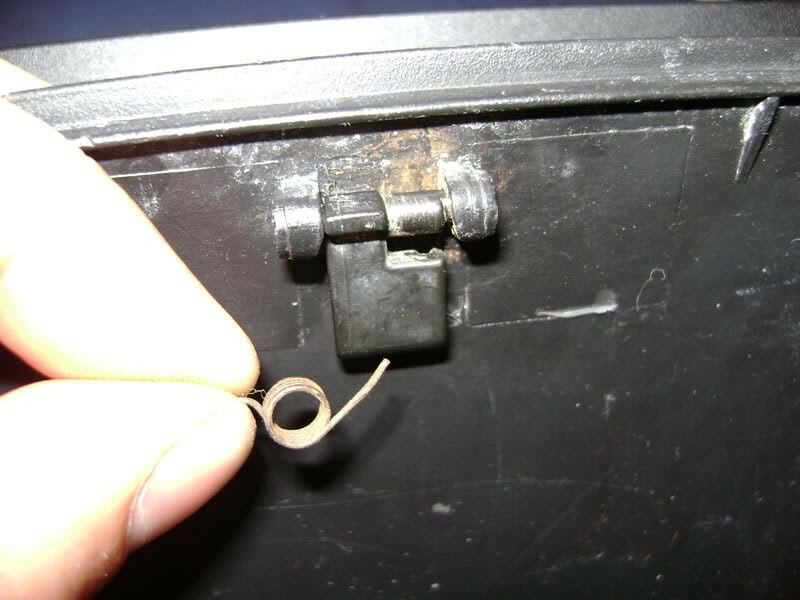 This is best done by starting a pilot hole with a sharp knife or drill bit, but DO NOT GO STRIGHT THROUGH THE LID. This is important for the cosmetic aspect, as well as the safety aspect. (You don't want a sharp screw coming through. Now, here is the tricky adjustment part. You need to position the new latch at a certain height to achieve the stock look and function. 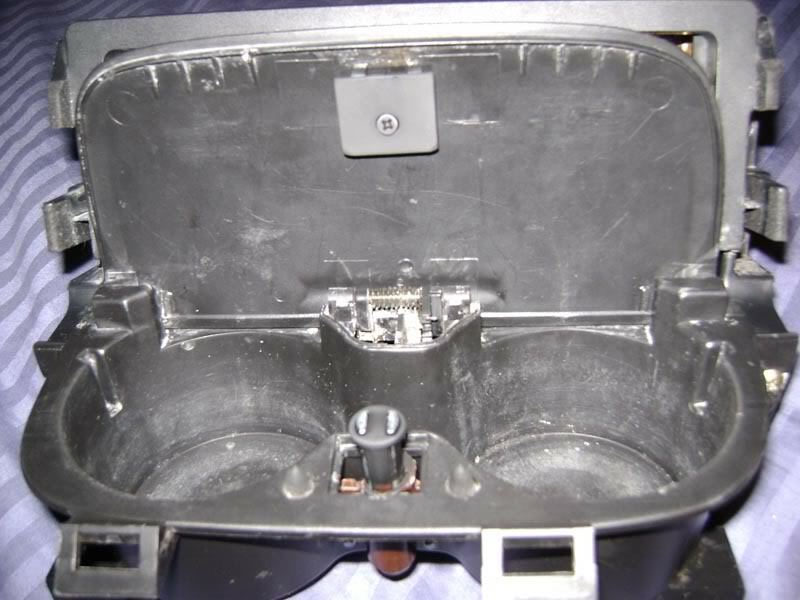 First, hold the latch in place between the underside of the cup holders and close the lid. 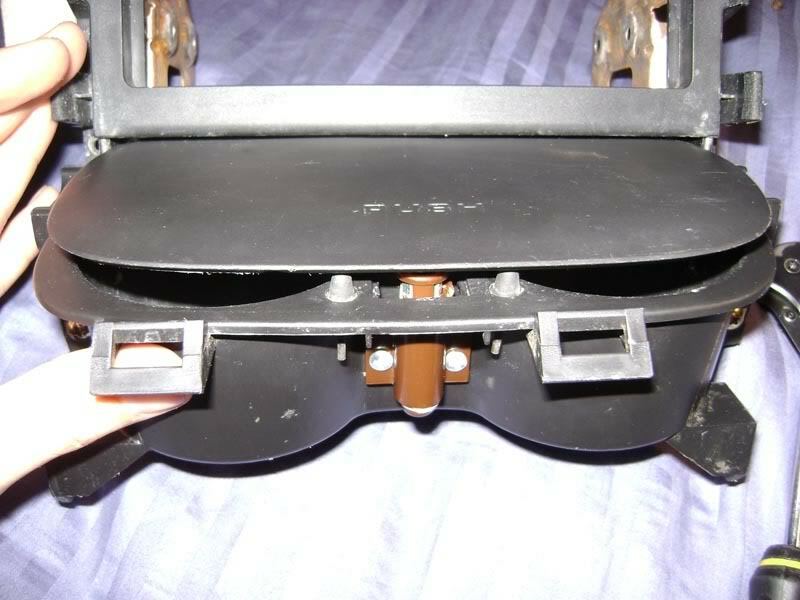 You will need to have the lid hovering just above the rubber stops for the best function. At this height, you will push down on the lid and it will pop back up, usually releasing the lid as it should. Use a knife to mark the position below the latch. 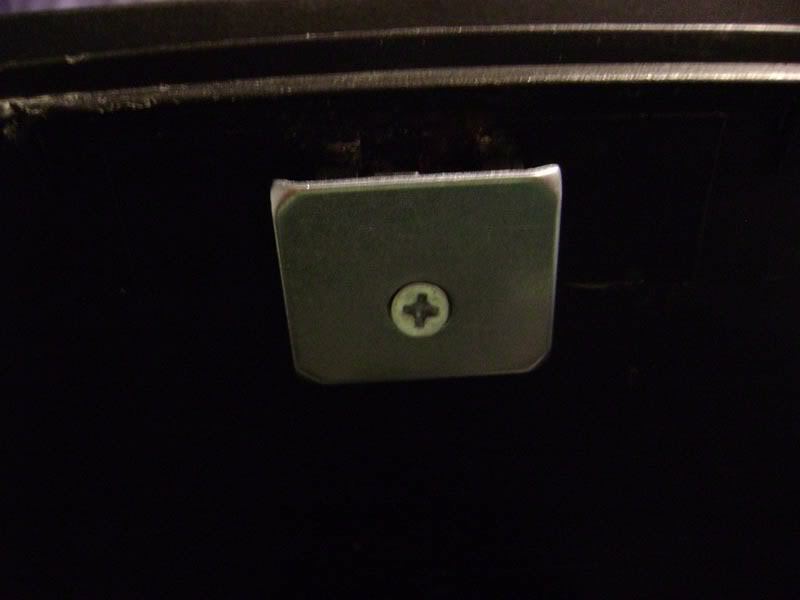 At this pount, I used the screws that came with the latch to make holes in the cup holder for the latch. I later came back and replaced them with small machine screws that had nuts for safety reasons. Having sharp screws hanging out anywhere is a bad idea. At this point, you are functionally done. Test it out and make sure everything moves like it should. I have found that a quick, hard tap is enough to make the latch release the lid. The magnets aren't that strong. If it doesn't release, there should be enough clearance to get a finger under the lid and pop it up manualy. This next step is optional. I decided that I wanted to make it less noticeable that I had modified the cup holder, so I painted the steel plate and the part of the latch that protrudes from the cup holder. I used some Krylon flat black that I had laying around for the job. Here is a movie of the functionality. 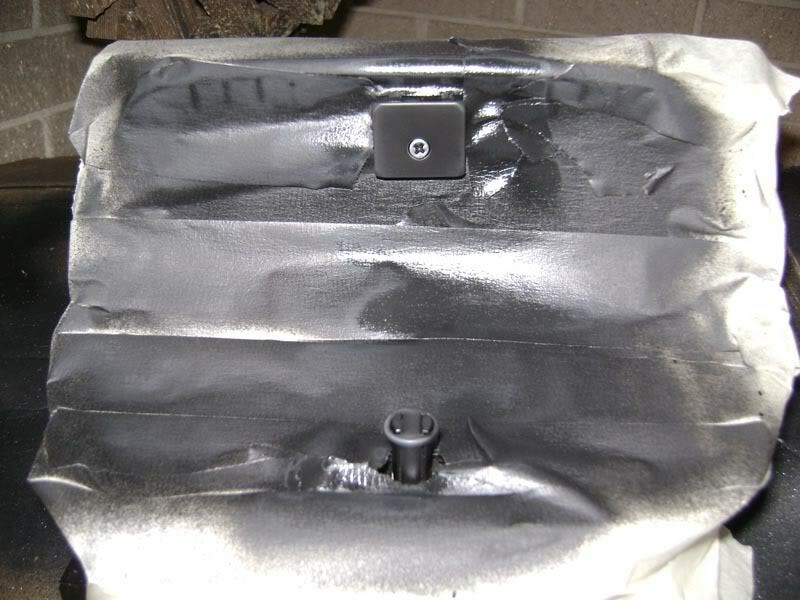 Notes: I have found that epoxy doesn't like to stick to that slick plastic stuff that most cars have in them, so I used screws. If you have some different glue that would work, you could probably use that too.